In 2014 Selsey Town Council recognised that the community required 'in town' support for those seeking employment support, housing and general social issues. 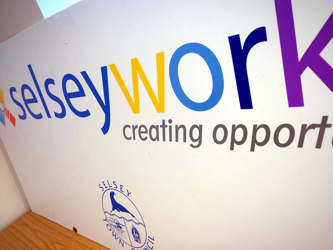 As such SelseyWorks was set up to deliver a range of services to the community; with an open door policy it created a welcoming environment for all age groups and worked in partnership with both voluntary and statutory organisations. For further information and to view the full range of services available visit Selsey Works .